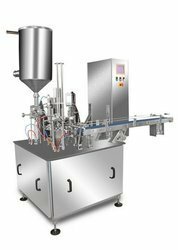 Our range of products include bottle filling machines, filling machines, automatic curd cup filling machine, fully automatic filling machine and automatic cup filling machine. Leveraging on our rich industrial experience in this domain, we are actively engaged in offering Bottle Filling Machines. These filling machines are examined on several parameters so as to deliver an excellent range. Our filling machines are accessible in various specifications in accordance with the requirements of customers. We develop this filling machine using top notch material & leading technology. 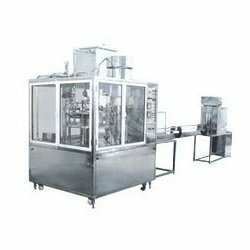 Our range of Cup Filling Machines can be made available as per the requirement of customers starting from single lane up to four lanes. The Cup Filling Machines are suitable for filling of Ice-cream in Small / Big Cup as well as Big / Small Cone. 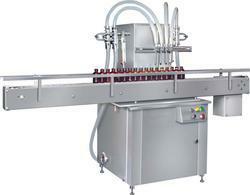 Clients can avail from us this range of Cup Filling Machine at most affordable prices. We are prominent manufacturer, wholesaler, retailer, exporter and supplier of wide assortment of Fully Automatic Filling Machine. 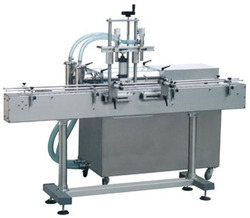 The offered filling machine is developed expertly as per the prevailing market norms using high quality material and contemporary techniques. This filling machine is inspected on diverse parameters in order to supply flawless range. 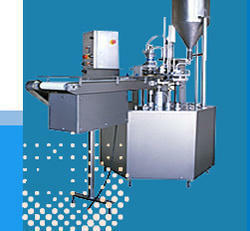 Offered filling machine is provided in varied of specifications to choose from.